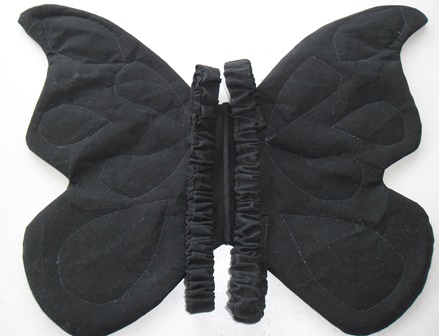 I made one last set of Butterfly Wings this year. 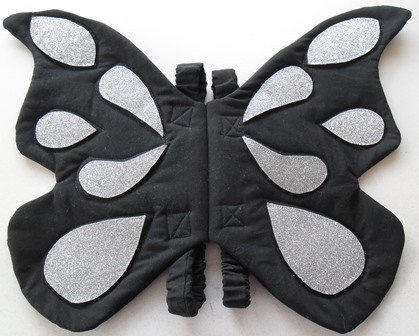 Once again the pattern I used was Butterfly Wings by Wife-Made. This time I kept it simple. 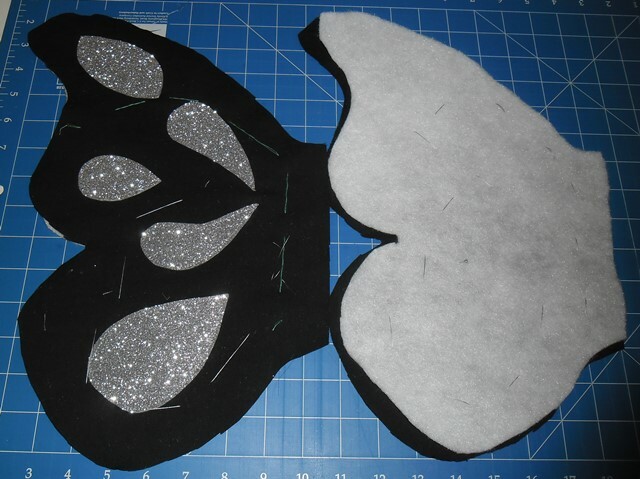 For the applique shapes I worked with glitter wool felt for the first time. I had a piece in my stash so I thought I would try it. The sheet was 8″x12″ and I basically folded it in half, pinned it then free hand drew some shapes on the 6″x8″ rectangle and cut them out. It is amazing what you can draw in that little space. Admittedly I was expecting to be cover in glitter when I cut it and stitched it up but I wasn’t. I did get the odd speck on my fingers but I wasn’t showered in it and finding it on me for days. 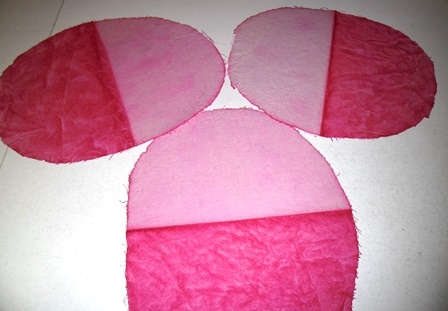 I get my wool felt from Rose Petal Collections as the quality is very good. The sheet of glitter felt is surprisingly thick but really easy to sew. This was the first time I’ve made wings with one solid colour background. The stitching on the front doesn’t look too bad as eyes are more focused on the applique but on the back the stitching looks…. a little abstract. I used monopoly thread which is clear but on the black ground it really stood out. In hindsight I should have used black thread. Every wonky curve is visible. That’s ok lesson learnt. One thing I do a little differently to the pattern is cut the batting layer in half so you have a piece behind each wing front. I tacked it into place with some left over bobbin threads to hold it. For me this is easier to work with when it comes to turning the wings out when fully constructed. This is another great way to use those near empty bobbins. I have more wings planned for 2017 and after making these I now have a clear plan on how I will make them. Sometimes a stitchery just says to you “Buy me, I will be useful in something you just don’t know what yet” and that was a case here. Jodie aka Ric Rac recently released a new stitchery Great Scott. 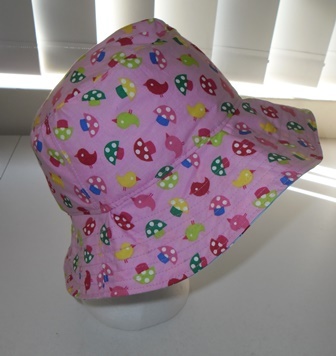 The pattern steps you through how to make the piece into a babies rattle but you can use the design on anything. 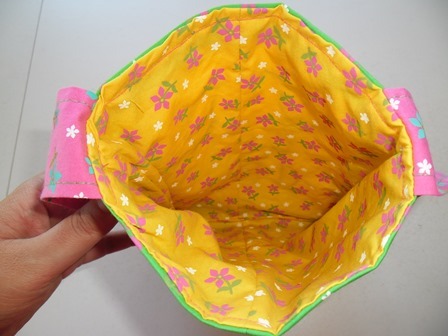 Here I have used it as the central panel on a toddler’s shoulder bag. I traced the design onto a piece of pink scrap fabric I found in my stash that was just the right size for the design. I framed it with some leftover fabric from my quillow debacle. The handle is another piece of fabric left over from the quillow. I haven’t done any hand satin stitching in sometime (2-3 years) but I somehow managed to do a resemble job on the eyes and nose. For the back I used more of the green fabric that I pieced to make it wide enough. 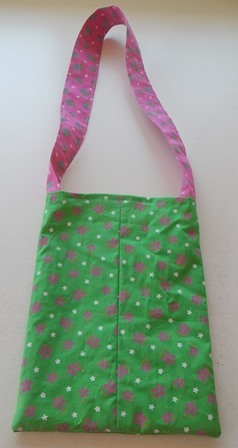 I really like this fabric, it must be the green with pops of pink and white that just make it seem fresh and happy. For the inside again I used quillow leftovers. 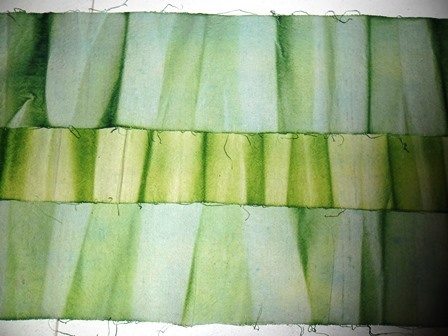 From the quillow project I was left with a few long stripes of fabric. It was too much of it to just put in my daycare donation bag and since I liked the fabric I knew I would find a use for it so I kept on to it. This project was the perfect use for it. This bag was super quick to make up. The stitchery only took me like a day to do in front of the tv. 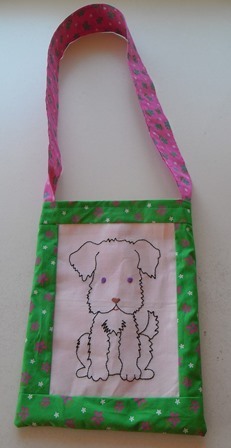 It is only back stitching so it is quick and simple. The piecing of the bag was very quick, it is just straight line stitching. You construct it together like any other tote bag except it just a little bit smaller than most. 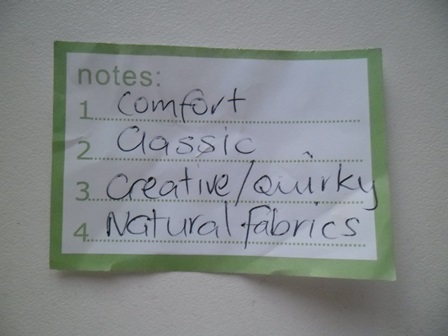 I love raiding my scrap stash finding fabrics I can use in a project. I’m a proud of a project like this where everything used is scraps. It makes you think and get creative. 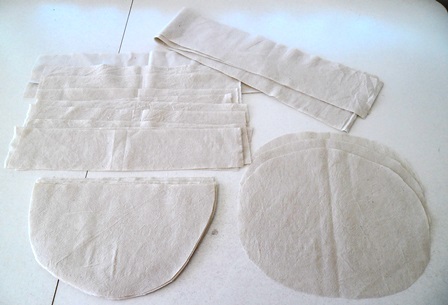 For a small project like this why cut up a big bit of fabric when you only need small amounts. I’m hoping little Miss 2.5 likes her new bag this Christmas. Watermelons seem to big this year I have seen them on everything. 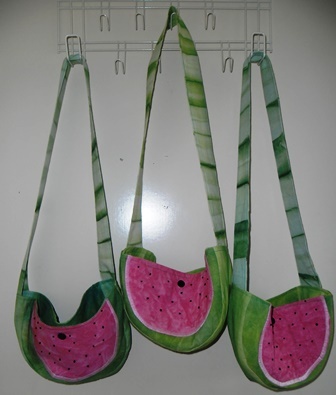 In the latest issue of One Thimble Magazine (Issue 13) there is an adorable pattern called Kawaii Felt Purses with one of the versions is a watermelon, I decided to make it but put my own twist on it. The original pattern is made from felt but I didn’t have enough wool felt to make 3 bags so I decided to use fabric. 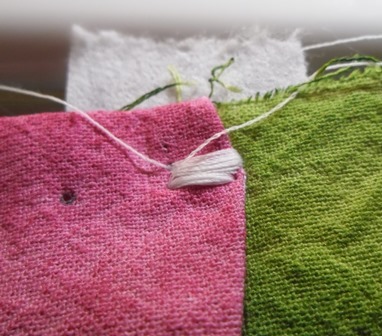 The easy way would be to use red and green fabrics from my stash. 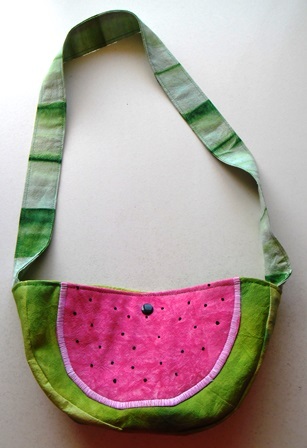 Pattern Review are having another challenge that I am interested in and it is to create your own fabrics – take plain fabric and change it using any technique you want to make your own fabric and use it in an item/s so I decided I would make watermelon bags. I started off with about 2m or so of plain unbleached calico. Previously when I’ve painted pieces with liquid radiance I started out with a rectangle almost A4 sheet of fabric and cut out my pattern pieces once the fabric had been painted and ironed. This time I cut out all my pieces first. I did have to adjust my pattern pieces from the original pattern. 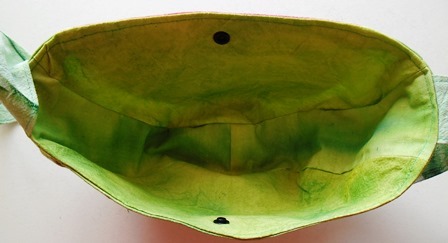 I needed to added extra seam allowances, draw out an oval instead of a semi circle for the fleshy part and also make a lining for the inside of the bag. I used liquid radiance to paint up the fabric. For the red fleshy part I used red with splashes of pink. I painted the entire circle in the colour. I decided to experiment to see how the fabric would look if it was folded when dry. 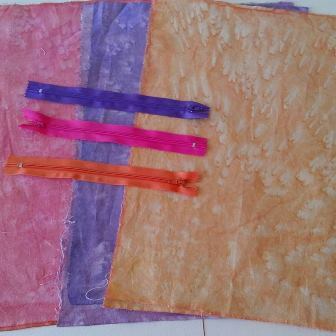 The end result was the fabric that was folded underneath turned out a lighter colour. The half that was exposed to light remained the bright colour that I painted it. I looked at the my liquid radiance colour chart and made up a green that I thought was the colour of the outside skin. I mostly used the colour I made up but I did add splashes of blue and yellow to the pieces. Where the pieces look particularly dark I used more blue in those areas. I had to paint the green fabrics in 2 stages as I ran out of space. There are only so many boards I can fit on my ensuite floor. When I was doing the second lot I did make the mistake of grabbing the wrong bottle of yellow. For 2 pieces I accidentally used my yellow concentrate and not my diluted colour. No harm done the fabrics are just a little bit lighter but I did waste precious drops of colour. 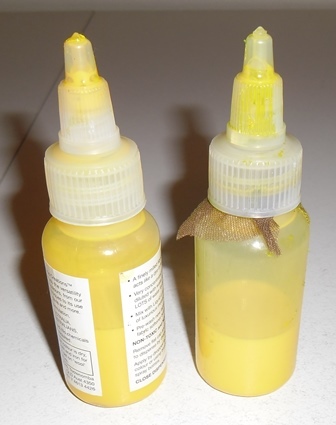 You can use the concentrates on their own without dilution but it is more economical to use them diluted. Lesson learnt check you have the right bottles before you start. To construct the bags I made up all the fronts. I used the finished edge applique method. 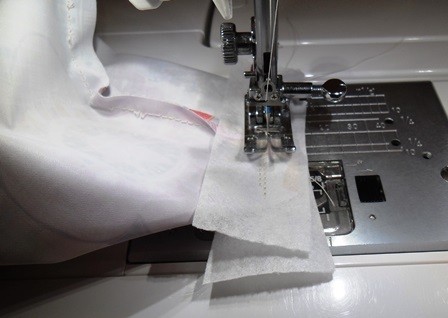 In this applique method you take your fabric and sew it right sides together before clipping your seams and making a slit in the bag to turn it right sides out. 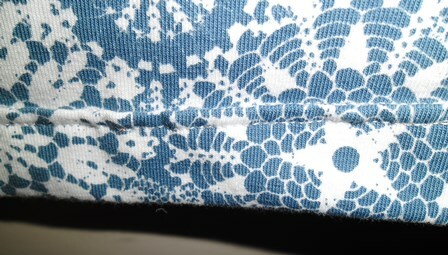 I marked on my fabric which was the back side that I was cutting as I was scared I slit the wrong side. This form of applique gives you a really neat edge and almost a 3D feel as you have another of layer of fabric behind it. To applique the semi circles on to the bag fronts I used a satin stitch. 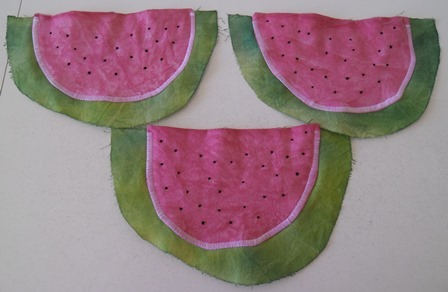 I wanted to create the white layer you see on watermelons so I used white thread. I set my zig zag stitch to the widest I could which was 7. I set the stitch length down to 0.5 My first one was perfect. The next 2 I had trouble starting, I couldn’t get over the initial seam that was in the corner of the semi circle. I ended up having to use stabilizer underneath, start a little bit in from the edge and change my settings so my width was 6 and my length was 1.0. Once I got stared I was able to increase my width and decrease my length. To make the pips I did French knots in a pearl thread. The pearl thread is thicker. I marked out spots with a black frixon pen then did my stitches adding a few extra here and there. The construction of this bag was pretty standard there was a lining, an outer bag and the handle. I did trim away some of the top of the fleshy party of the watermelon front to reduce bulk in the seam. Normally when I made tote bags in this method I leave my turning gap at the bottom but due the curve shape I had to move my turning gap space to top of the bag on the back. As a final touch I put on a KAM snap to close the bag. So these will be Christmas gifts for my nieces but I think I am more excited about them then they will be. These turned out cute! It was a fun personal challenge to see if I could take pattern designed to made in felt and change it around so I could make it from a woven. Thinking about all the steps I needed to change to make it work was a good way to stop and think about the basic fundamentals of sewing. Painting the individual pattern pieces for the first time was a lot of fun as I had to really plan in it in my head of how I wanted the end items to look. The machine and hand embroidery decoration needed thought and planning, I Goggled watermelon images as research over where to place my pips. These are one of the best things I have ever made. I had leftover colouring in fabric from when I made the Colour Me Happy skirt back in January so I have made a second one. 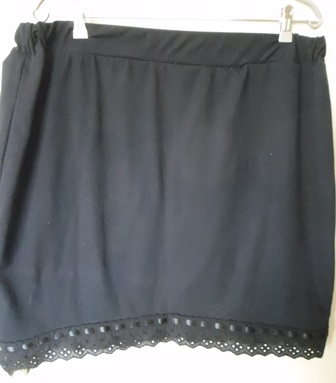 This skirt is pretty much identical to the previous one except for some reason even though I was wanting to make the same size I cut my fabric out wrong, when I stitched it up instead of fitting a 7 year old it fitted maybe a 3 or 4 year old. I sliced off my seams and started again. I actually went to a department store and measure a skirt to see how big I should make it this time, keeping a tape measure in your bag when out shopping comes in handy. 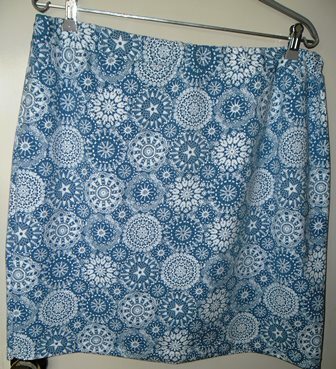 I was running out of fabric so this skirt has 2 side seams instead of just the one seam like original. 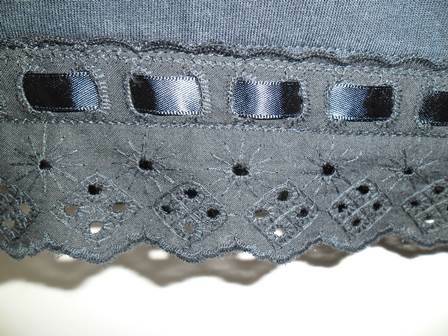 I did all my seams for this one on the overlocker. This skirt is to go with the bucket hat I made a couple of months back. 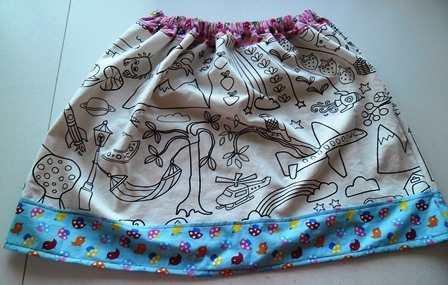 I again will also add marking pens in with the skirt for the child to use. I love it when an idea turns out the way you imagined it would in your head. 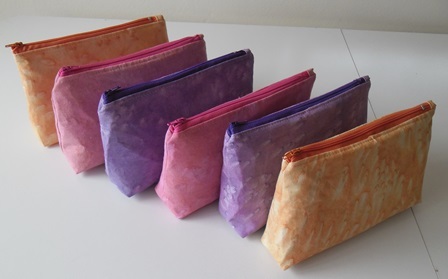 These make-up bags are Christmas gifts this year for some special people. These bags came from me having 6 zippers in my stash that I wanted to use up. 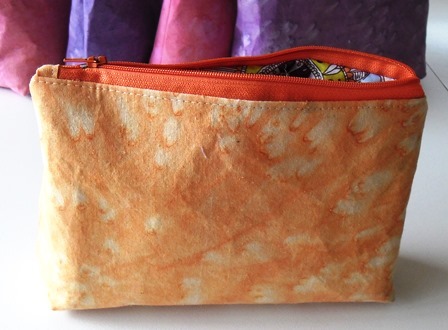 The pattern I used is the bonus Box Corner pattern that comes in the Essential Wristlet pattern by Dog Under My Desk. 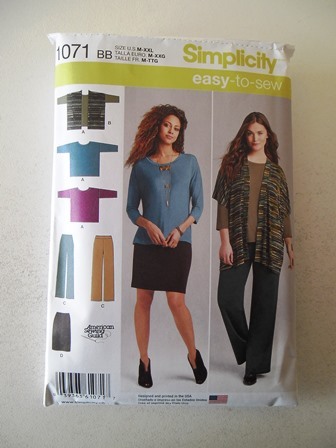 I find DUMD patterns super easy to follow with clear instructions and tips throughout the pattern. 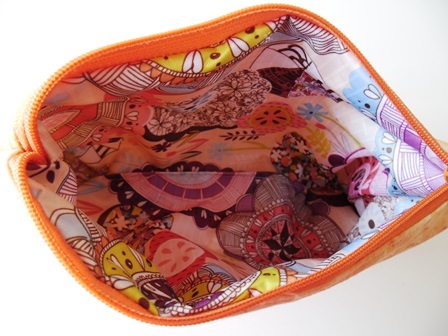 In these make-up bag I was working with unfamiliar fabrics so I wanted a pattern that I could clearly follow to avoid any stress in making them and having made the regular version of the Wristlets before I knew it was the perfect pattern. As I wanted make-up bags and not purses I left off the D-ring and handle. This was actually easy to do as DUMD patterns are written in stages so I just skipped the stages where it is said to make/insert the D-ring or handle. You can do that with DUMD patterns and not get lost as to where you are up to. So I started with 6 zippers that I got in one of the Sew Boxes from last year. I needed to make 6 gifts so it was a logic way to use them up. After I made my waterproof draft stoppers this year using the ripstop I saw at the time I could get ripstop in a colour that would match my zippers. It is perfect to line these bags with. It is waterproof, you can wipe it clean if anything spills in it. I love the colour of it, a bit of fun when you open up the inside of the make-up bag. The first time I used ripstop I had no real issues working with it. This time I had a little bit of trouble with it but I think it was due to the more complicated pattern I was making (there are few stitching lines in a draft stopper) When I was working with the reverse side of the fabric it would stick to my machine, to get around this I used tearaway stabilizer on both sides of the piece as I fed it through the machine. I don’t have a Teflon foot and at first I did try putting tap on the bottom of the foot but it was still sticking but when I tried the stabilizer it ran smoothly. 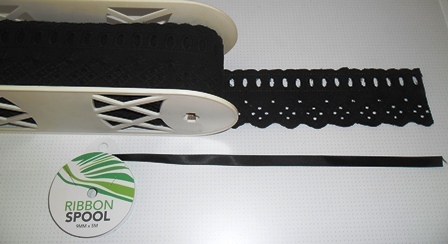 You don’t need a lot of tearaway, only enough to cover your stitching line. When I was doing top stitching and working with the right side of the fabric I didn’t have any problems it was only the white reverse side that stuck. The exterior fabric on each one I painted myself. I did it to match the zippers. I had a lot of fun with these. Painting with liquid radiance and salting the fabrics as I have done on these it is a bit of a mystery as to how things will turn out. 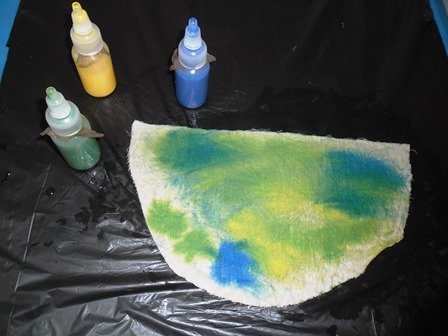 You have a rough idea of how they will turn out but until they are dry you don’t know for certain. I had my zippers near me when I was painting the fabric and I was adding a few drops extra colour here and there hoping to get the colours I needed. As I mentioned in my previous post one of the pinks turned a little more orange that I would’ve liked so I did use the reverse side of the fabric which was lighter. There are no rules you just go with whatever works. These make-up bags are one off, I’m so excited with how they turned out. I loved the process of making them. I had to think all the way along the process from choosing the interior fabrics, working out the colours to paint with, problem solving the stickiness of the ripstop. To others that might seem a nightmare but to me it was thinking in a good way as it was my creative brain working. Sometimes I feel I get more out of making a project than the recipients do. I know those you do get them are going to really like them. So what happens when the girls are all mermaids and you have one boy in the group…. 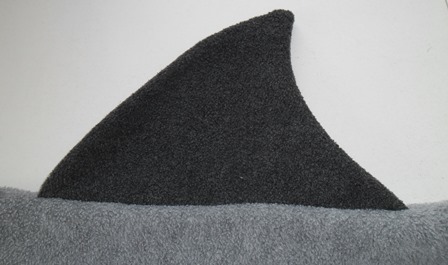 you make him a shark! I again used the Anna Banana Mermaid Tail pattern as my base in size 7/8. For the tail I took the original tail pattern and placed it on new trace and toile to draft a new tail piece. I traced the curve where it attached to the blanket so it would still fit. I marked out where the edge of the tail pieces ended and the inside centre, from there I just took a ruler and joined the dots to get a sharp edge that shark tails have. For the waistband I drafted my pattern in a similar way. I marked out the measurements of the original waistband piece and essentially drew a rectangle. I drew a line across the middle of the rectangle to see how deep to draw my teeth points. I then marked the centre point of that middle line and from that centre point I marked out even points, on the bottom of the rectangle I marked out even points between the points of the centre line (I hope this isn’t confusing) Basically I wanted to make a zig zag and I needed dots to draw so that I could make sharp points for the teeth. 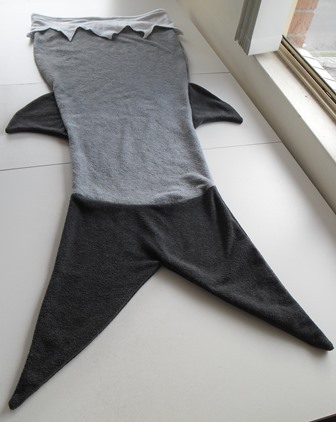 I attached both the waistband and tail fin as per pattern instructions. I am so proud of this. This is what I had envisaged in my head at the start of this year when I had decided upon the gifts I would make. 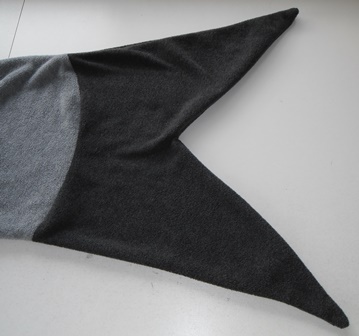 I had fun redrafting the tail and waistband and coming up with the fin design.